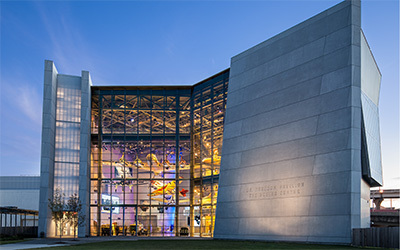 The National WWII Museum is the top-rated tourist destination in New Orleans and an unforgettable way to experience World War II - from industry efforts on the home front to the combat experience of the American soldier abroad. Guaranteed to move and educate, the Museum features interactive exhibits, 4D cinematic experience, soaring aircraft, personal histories, and more. An experience for all ages, plus live musical entertainment at BB's Stage Door Canteen and delightful dining waits in The American Sector restaurant + Bar. You must see where the magic of Mardi Gras is made and take a tour of the most fascinating Mardi Gras design studio on earth! 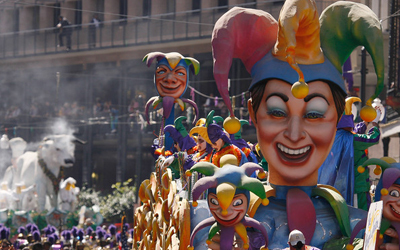 See artists and sculptors as they work year-round on the world's largest fleet of floats, and you will get to experience the history and royal traditions of Carnival Time, in any season! 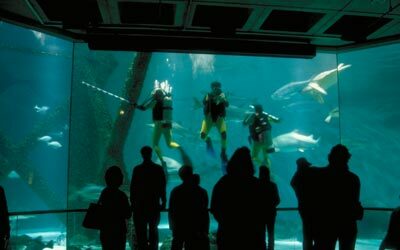 White alligators, suited penguins, playful otters, tranquil turtles, glowing jellyfish and sharks living together in one of the top five Aquariums in the US. Be impressed by the 400,000-gallon Gulf of Mexico Exhibit and the newest exhibit, Parakeet Pointe: Treats for Tweets, an interactive aviary featuring more than 800 colorful, free-flying birds! Here, the whole family will enjoy! 6 Blocks of historic architecture plays host to local shops, restaurants, culture, and entertainment. 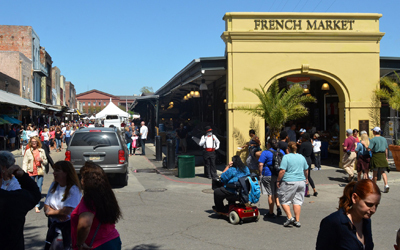 The French Market District is a wonderful place to bring the entire family and enjoy an authentic New Orleans experience. Have fun strolling around the Farmers Market, Flea Market, and enjoy the parks, cafes, and riverfront access that make this a lively but relaxing area to spend the day. 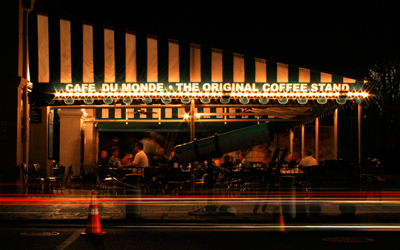 Since 1862, Cafe Du Monde has been serving steaming cafe au lait and hot beignets from New Orleans' original French Market Coffee Stand. Beignets are the fabulous hot, French and square doughnuts & cafe au lait is a long-time local treat - an original New Orleans pleasure. 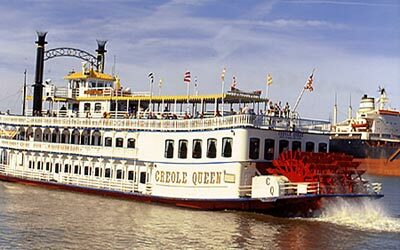 Take a Mighty Mississippi River Cruise on New Orleans' most luxurious steamboat, the Paddlewheeler Creole Queen! There was a time when the Mighty Mississippi River was crowded with steamboats, but none of this luxury and comfort. This great tradition is at attraction you cannot miss! Plus, there are few better views of the city than from the great waters of the Mississippi - Enjoy the daily excursions and dinner cruises, offered to you by the Paddlewheeler Creole Queen. Try your luck at Harrah's New Orleans Casino, where 104 table games and a world-class 23-table poker room offer card players several types of games including no-limit Texas Hold 'Em, 7 Card Stud and Pot-Limit Omaha. Located in the center of downtown New Orleans, at the foot of Canal Street, Harrah's Casino is nearly impossible to miss! 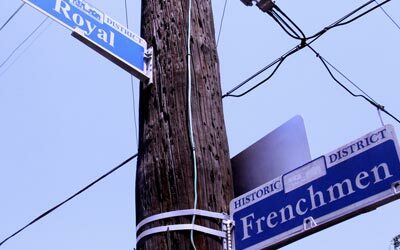 This invigorating corridor of bars and restaurants in the Faubourg Marigny is most acclaimed for the wealth of live music, mainly jazz, blues, funk, but there is much more! You'll find live entertainment 7 nights a week, both early and late shows. The prized local musicians will surely impress! Learning has never been more fun! 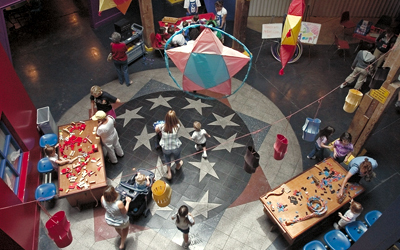 Discover electrifying fun and dynamic hands-on exhibitry at the Louisiana Children's Museum ... this is not your ordinary playhouse. 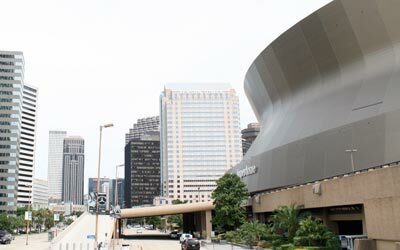 Most know the Mercedes-Benz Superdome, previously known as the Louisiana Superdome, because it is home to the Super Bowl XLIV Champions, the New Orleans Saints. However, not many know about the significance of "The Dome", largest fixed dome structure in the world, nor the amazing events it has hosted since 1967. 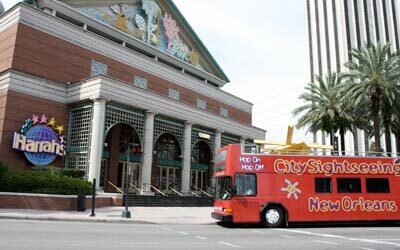 Learn more about the Dome on the City Sightseeing of New Orleans Guided Bus Tour!